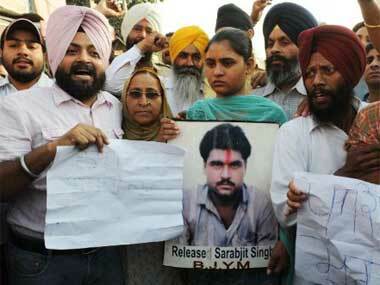 The military trial and death sentence awarded to alleged Indian spy Kulbhushan Jadhav by Pakistan has brought to mind the case of Sarabjit Singh. 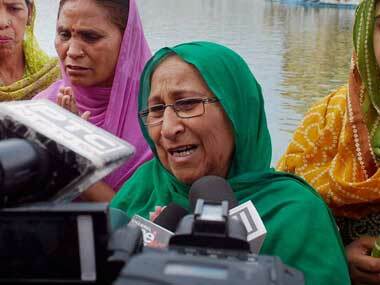 Dalbir Kaur, the sister of Sarabjit Singh, who died in a Pakistan jail in 2013, on Sunday joined the BJP. As far as the hapless Kulbhushan Jadhav is concerned, our diplomacy must be stepped up considerably — in belligerent proportions — to secure his release. The family would perform Kirpal Singh's last rites in Gurdaspur once his body was handed over to them after a fresh post mortem is conducted in India. 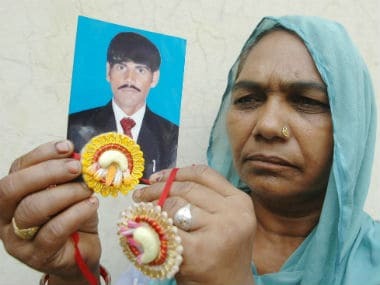 Family members of Kirpal Singh, who died under mysterious circumstances in a Pakistani jail, on Friday met Home Minister Rajnath Singh, who assured them of all help to bring back his mortal remains.